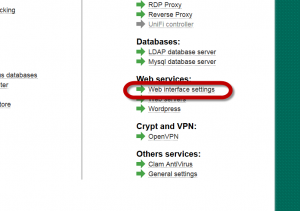 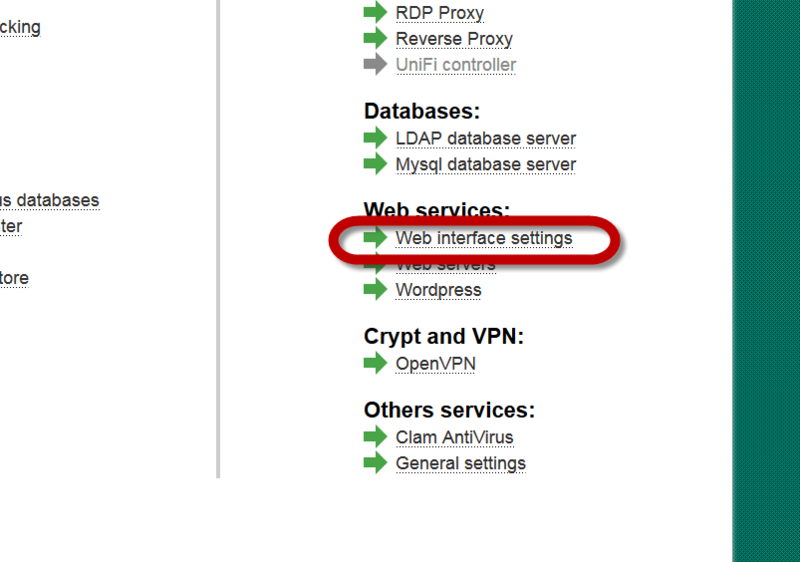 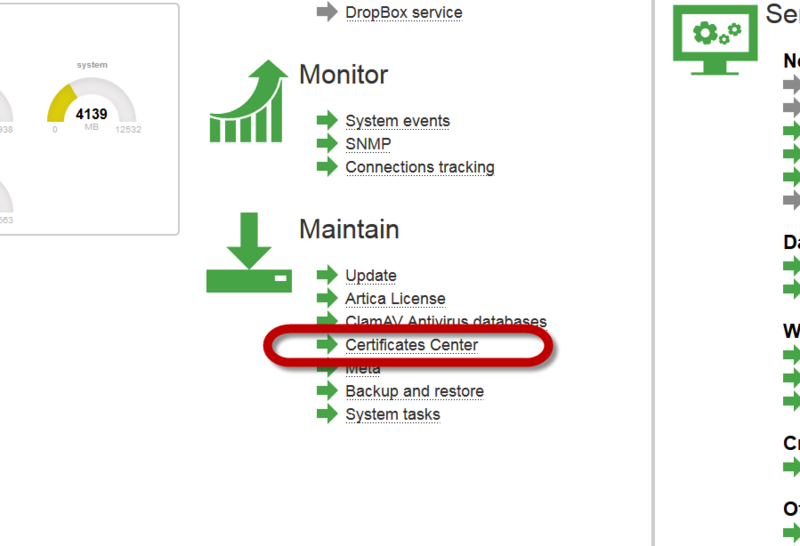 Under Maintain section, select Certificate Center link. 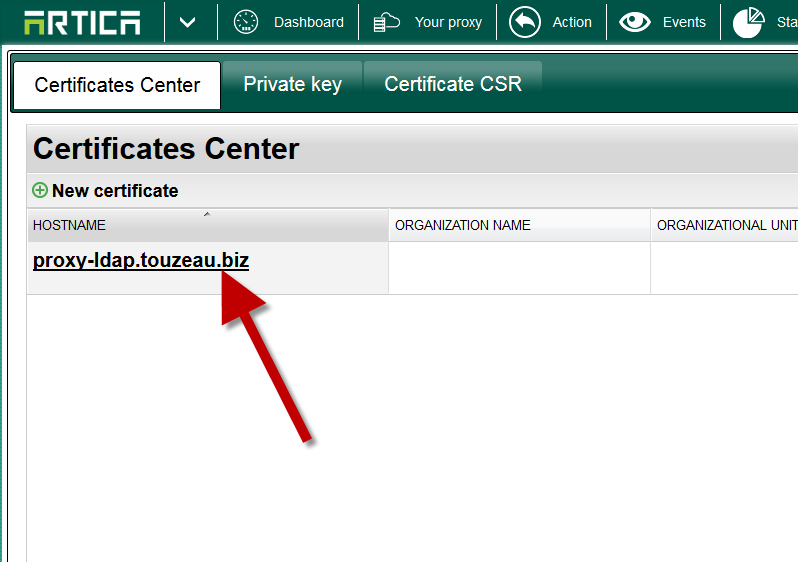 Click on New Certificate and click on the appropriate button. 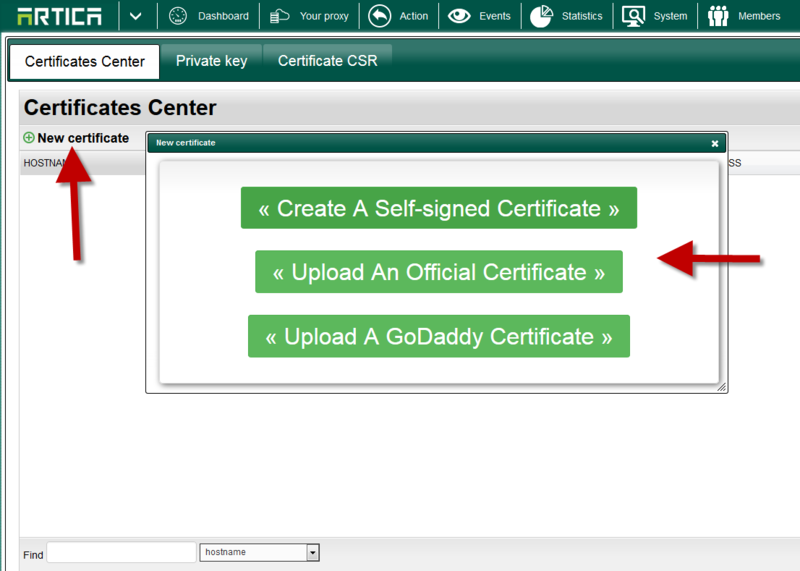 Once your certificate is created, click on the link of your new certificate. 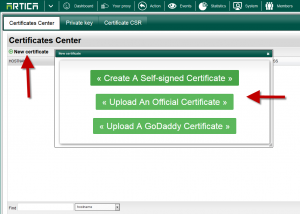 Choose Certificates tab, click on CERTIFICATE link and copy the content of the certificate. 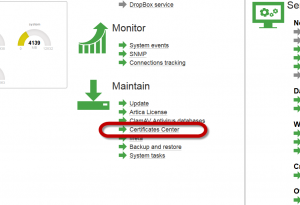 Paste the certificate content into this file. 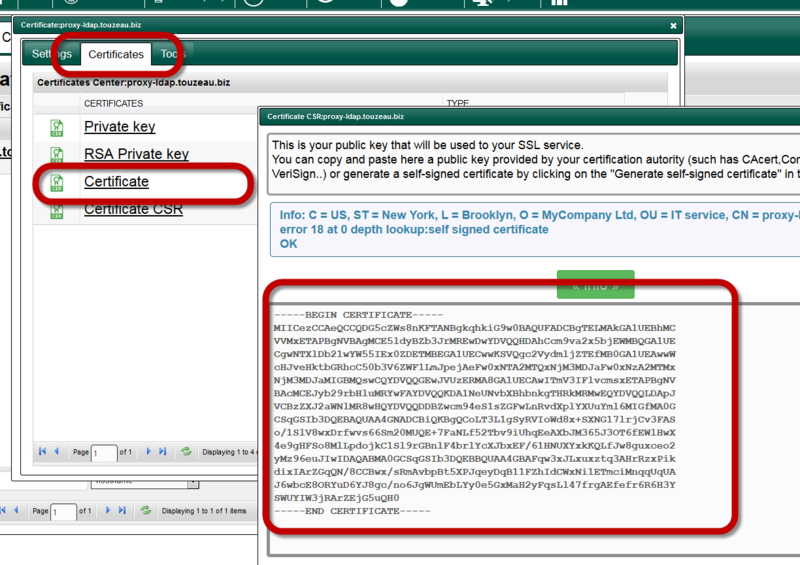 Right-click on the certificate.cer file and choose the “Install certificate” menu. 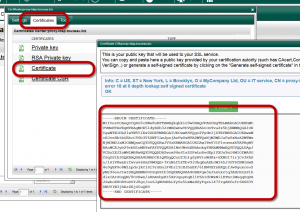 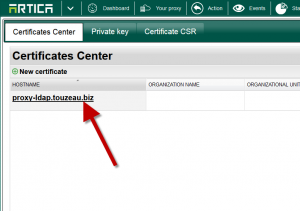 Choose the new created certificate and click on Apply button.